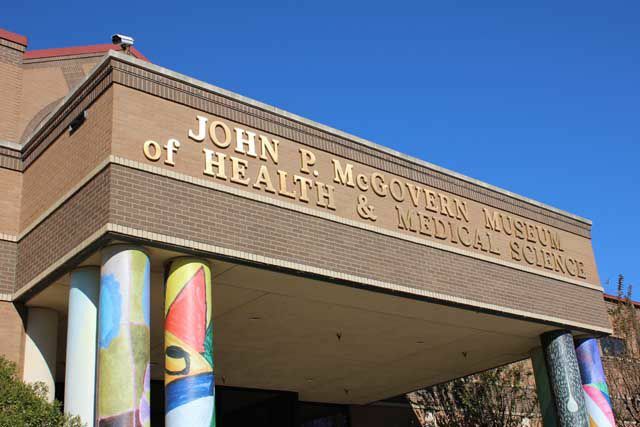 One of the top family attractions in Houston, The Health Museum is a fun and immersive learning environment focusing on health, medicine, and the inner workings of the human body. Located in Houston’s famous Museum District, the museum is a favorite destination for teachers leading field trips, homeschool groups, scout programs, and others due to its interactive permanent and temporary exhibits. From the larger than life body parts in the Amazing Body Gallery to the hands-on experiments at the DeBakey Cell Lab, children and adults will be educated and entertained. Read on to see the museum’s hours of operation and pricing information for tickets and parking. The Museum is closed on Mondays between September and April, Thanksgiving Day, and Christmas. Closed Mondays from September to April. Active and retired military and up to four guests can receive half-price admission with valid ID. Admission to the DeBakey Cell Lab is an additional $3 per person, with free admission for members. Free Family Thursday offers free times between 2 p.m. and 7 p.m. every week (excludes the DeBakey Cell Lab). Metered parking is also available along LaBranch Street, Ewing Street, and Hermann Drive. Admission prices and hours of operation are subject to change. Please check The Health Museum’s website for up-to-date information on rates and schedules before making plans.